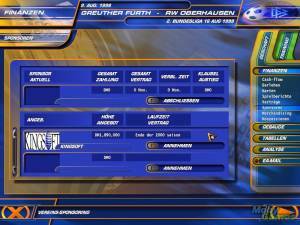 ANSTOSS Action: Die Fußballsimulation is spin-off of the ANSTOSS soccer manager series that allows the player to actively participate in soccer matches. 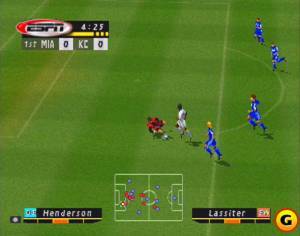 In comparison to its main competitor, the EA FIFA series, it tries to capture a soccer match more realistically. 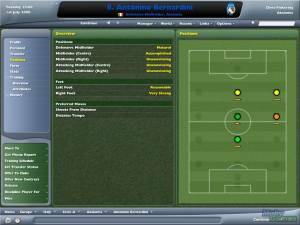 The legacy of its developers shows in the simulation of the athlete's abilities and the possibilities outside the grass: there are expansive tactical options and a basic transfer system. Players can set a focus for seven training sessions per week which has clear effects on the matches. 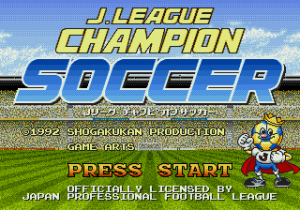 The game features various playing modes, e.g. competitions, tournaments or leagues; all with their own victory celebrations. Successes unlock historical matches with goals to complete, e.g. turning the 0:2 score in the 1954 World Cup match between Germany and Hungary.